The other day, I made a funny. Mark Schaefer even re-tweeted it to a decent response. Based on his comment about the Social Media metric site, Klout, I suggested that it kind of sounded like an STD. On reflection, it occurred that this was not so far from the truth. Klout is a bit like a disease, once you have caught the bug it is hard to get rid of. Klout is very important to Social Media types, it is one of the most trusted metrics available for measuring your influence, importance and success as a social media user. 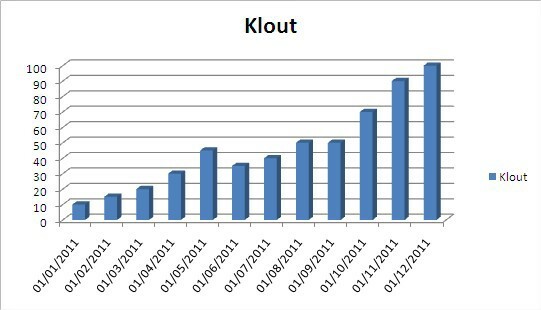 Based on secret squirrel like calculations, you are assigned a score, your Klout. At this moment in time mine is 46, down from 49 a few weeks ago. However, I got to thinking. How important is this number? Are people beginning to chase high numbers at the expense of their social media souls? As with many things in business life, you need to be able to measure success. Klout is a convenient and simple way to do this. It produces a number. You can use numbers in excel and make pretty charts, chronicling the success or failure of your social media strategy over time. Business managers love that sort of thing! However, are people missing part of the point? Surely social media is about engagement, not arbitrary numbers assigned by a computer. As I said in a previous post, you can’t have Social Media without the social. Number chasing can make you lose sight of your original goals. For individuals, the end goal may just be to have fun, for business it may be to engage with new markets. Whilst Klout is a nice and simple measure for Social Media, as are many other metric sites, high scores should not be your sole focus. The real measure of success in social media is much harder to quantify. It is trust. The people who trust you and who you have engaged with are the ones who can show whether you have been successful and there is no shortcut to that. Originally published at Gamified UK — #Gamification Expert.